Looking for Duramax repair near Cotati? RPM Automotive has the certified Duramax diesel mechanic for the job! We happily service Chevrolet Silverados, Colorados, and GMC Sierra’s and Canyon’s. We understand the power of a Duramax engine, and want yours to be fully equipped to conquer the road ahead. We are a family owned and operated shop that has been repairing diesel engines since 1982. Our entire staff are ASE certified, which stands for Automotive Service Excellence. This means we have the best technicians in the entire industry servicing your vehicles. Whether you’re experiencing overheating, injector failure, water pump failure, or any other issue with your Duramax, bring it to the pros at RPM Automotive Services. When was the last time you brought your Duramax in for scheduled maintenance? Future Duramax repair near Cotati can be minimized with regular scheduled maintenance of your truck. Think about it like going to get a scheduled eye exam or dental cleaning. You know the importance of not skipping out on those appointments, because they’re important for your health. This is the equivalent to scheduled vehicle maintenance for your car or truck. 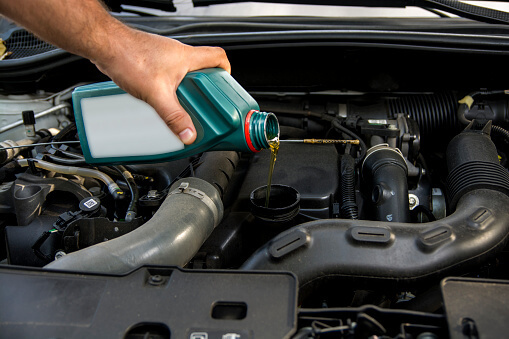 To keep it healthy, and running strong, your vehicle should be serviced every 3,000 to 5,000 miles. Ask one of our service advisors for more specifics, they’d be happy to help! We even offer fleet services. Check out this review from one of our fleet customers, Christian R.
Interested in maximizing the performance of your Duramax? We offer installation of Edge Products, Whipple Supercharges, American Racing Headers, ARP Head Studs, Flowmaster Exhausts, and more! Visit our garage for expert after-market performance installation. Give us a call today to have an experienced, ASE certified Duramax diesel mechanic provide you with the best Duramax repair near Cotati.